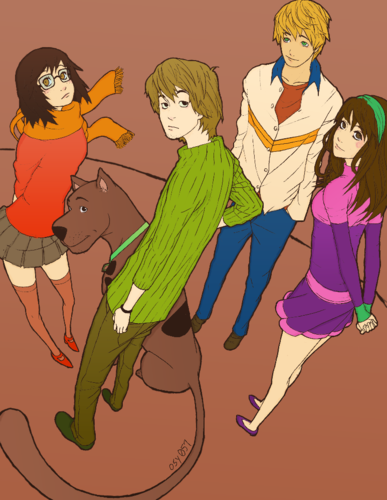 Scooby-Doo - As アニメ Characters. . HD Wallpaper and background images in the Scooby-Doo club tagged: scooby-doo velma dace dinkley daphne ann blake norville rogers shaggy frederick herman jones. LOVE THIS! 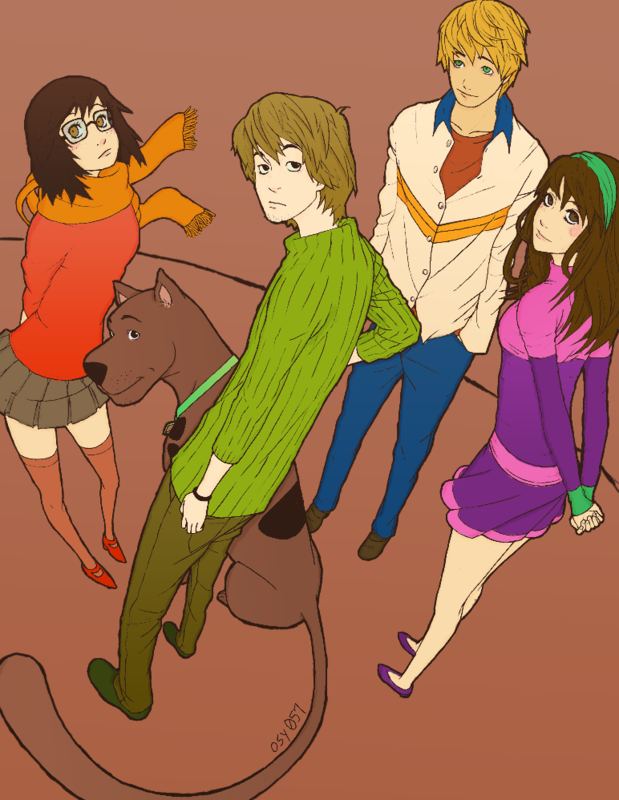 I think Daphne looks cute as a brunette.